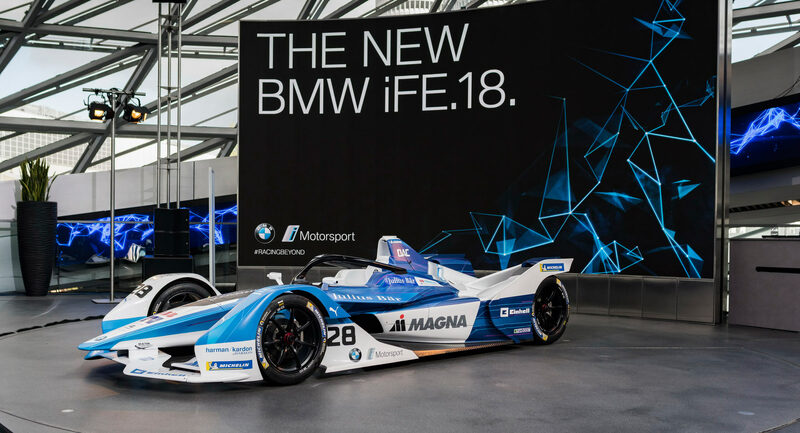 BMW is entering the Formula E as an official manufacturer with the new iFE.18, which was revealed during a special event in Munich. BMW i Andretti Motorsport will race a pair of iFE.18s as of December, with Antonio Felix da Costa and Alexander Sims behind the wheel. The new Gen2 BMW iFE.18 adopts a striking design complimented by the company’s classic blue-white livery. The new car rides on the standard Formula E chassis, in accordance to the sport’s regulations. Max power from the electric powertrain is capped at 335hp (250kW), but in race mode, this drops to 268hp (200kW). 0-62mph takes 2.8 seconds while flat-out it’ll do 149mph (240km/h). Unlike previous Formula E seasons, cars will not be changed during the race. The electric powertrain was developed by BMW i, with engineers using their experience and knowledge from series production. 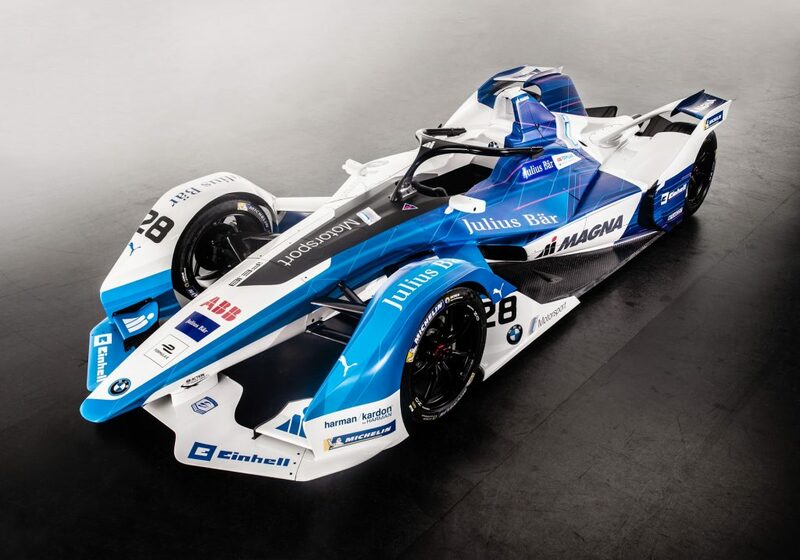 The new Formula E powertrain will influence the development of future production BMW i models as well. “We told the production engineers designing the electric motor and inverter: ‘Forget about all the considerations you would usually have in development, and just think about performance, the greatest efficiency, the lowest weight. When we’ve reached that point, you can think about how to integrate that into series production later on’”, said BMW Motorsport Director Jens Marquardt.